They say safety is the ultimate luxury. TopCar begs to differ with this customized, armored Mercedes. 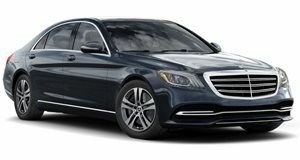 The heavily-armored Mercedes-Benz S600 Guard may offer unrivaled levels of protection from its bullet-proof glass and armor plating, but the comrades at Top Car evidently felt the interior still had room for improvement. The Russian customizing outfit has treated the armored S-Class to interior package that lavishes the cabin in luxury materials including crocodile leather and pure gold, with hues of brown, yellow, and orange dominating the opulent and secure environment. Genuine crocodile leather covers the seats, doors, dash, floor and ceiling, while quilted Nappa leather has been used to decorate the luggage compartment. Alcantara, and gold and Karelian birch wood also features and the car&apos;s special equipment is now hidden behind the panel. As a final flourish, all the silver and chrome surfaces have been covered in pure gold.